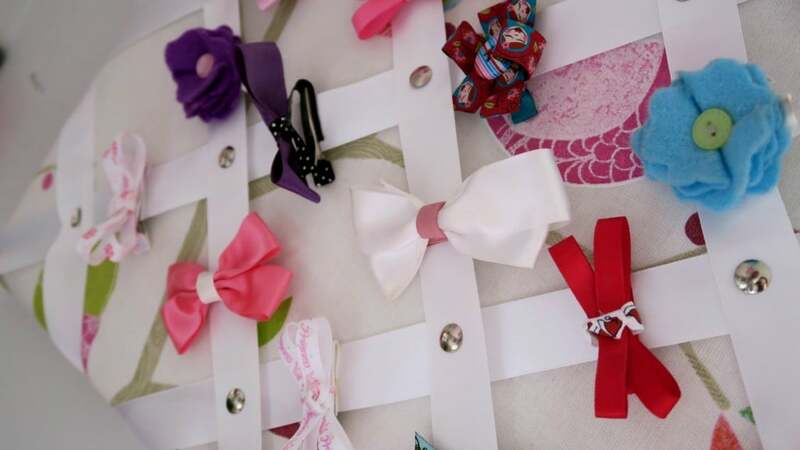 Having twin girls means that I have lots of hair bows! I went through a stage of making them so we collected a lot over time. 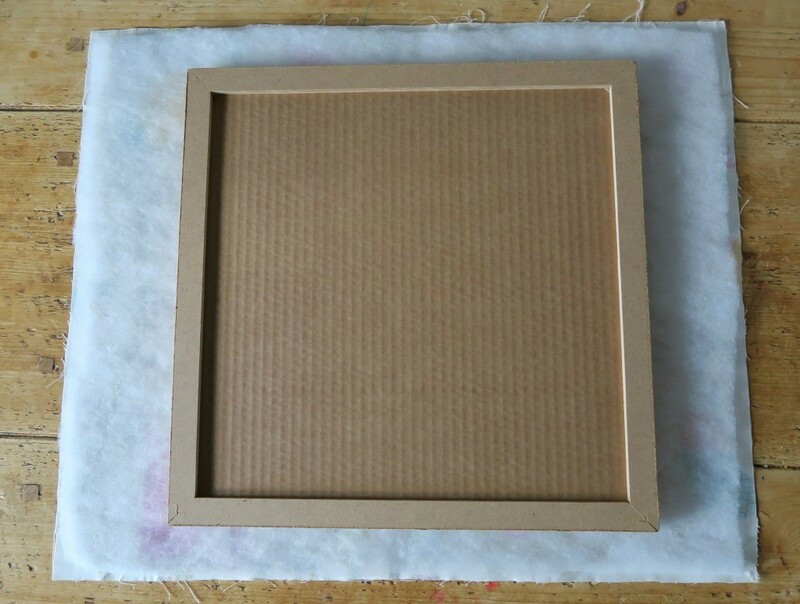 I hated having them shoved in a box and they are really pretty too, so I wanted somewhere in their bedroom that I could display them. I created this very cute hair clip holder which can also be used as a pinboard later on. 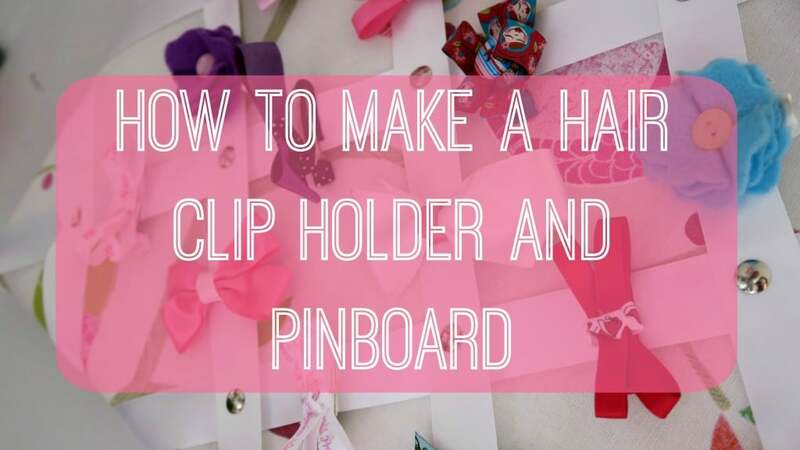 I can now give you a step by step guide on how to create your own hair clip holder. 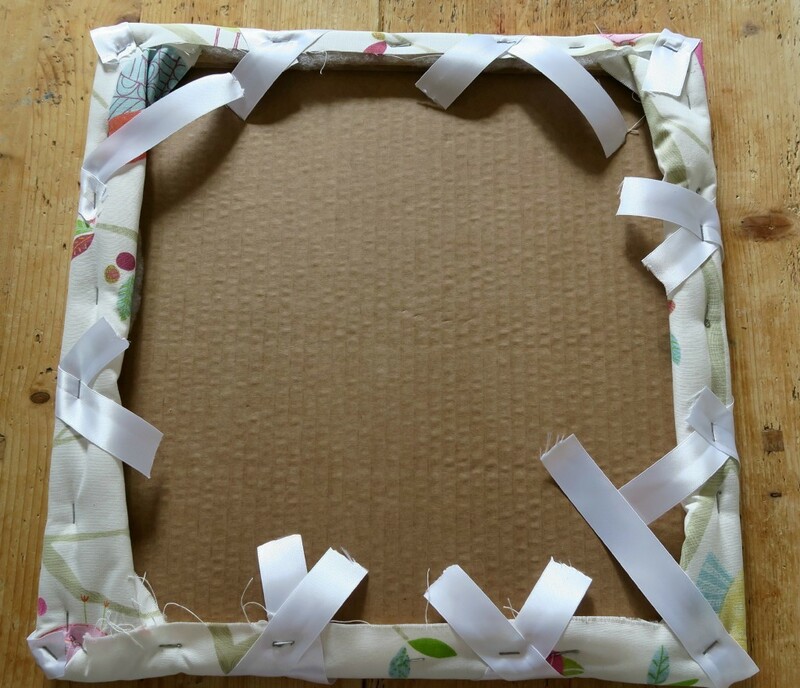 Place chosen fabric down, wadding on top and then finally the cork board. 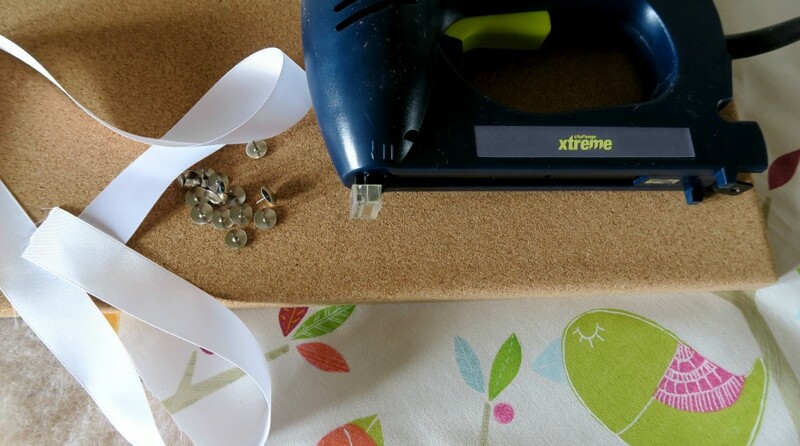 You then can cut around the cork board leaving enough to be able to fold over the cork board and staple on. 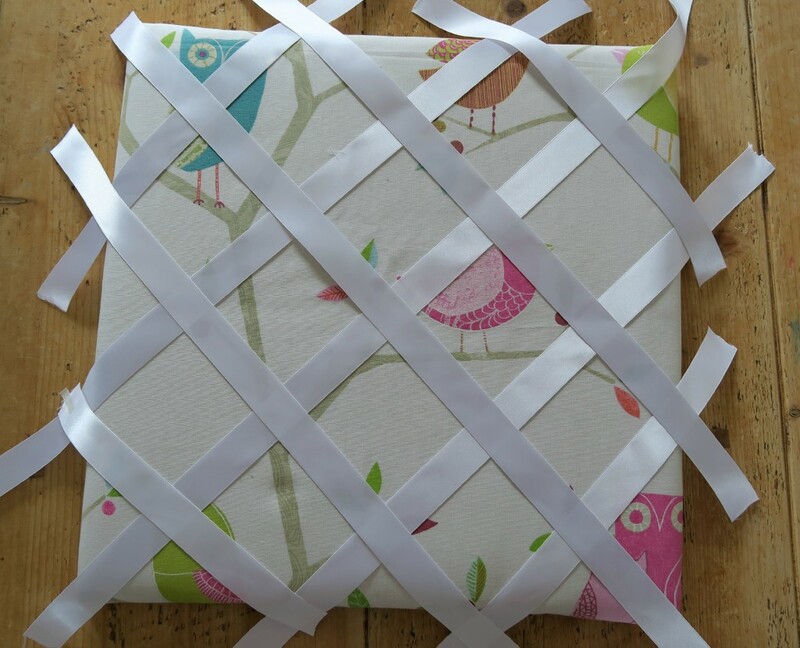 Fold over each corner and side, like you are wrapping a present and staple down. 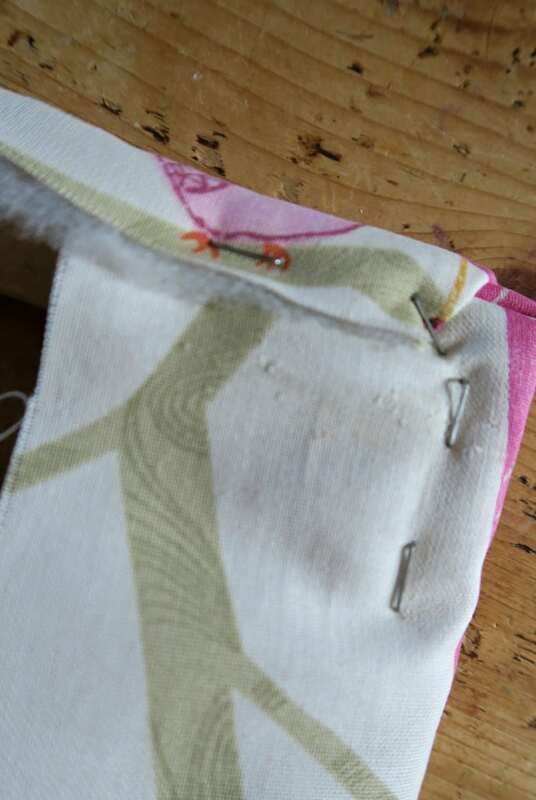 Keep making sure you pull the fabric tight around and staple around the edges. 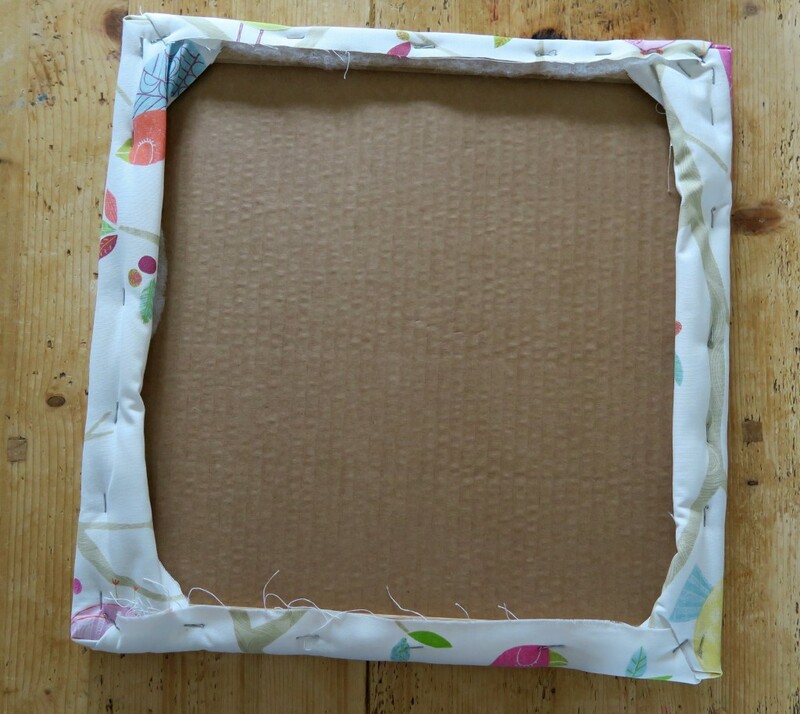 Fold them over if you have enough fabric to make the edges neater. 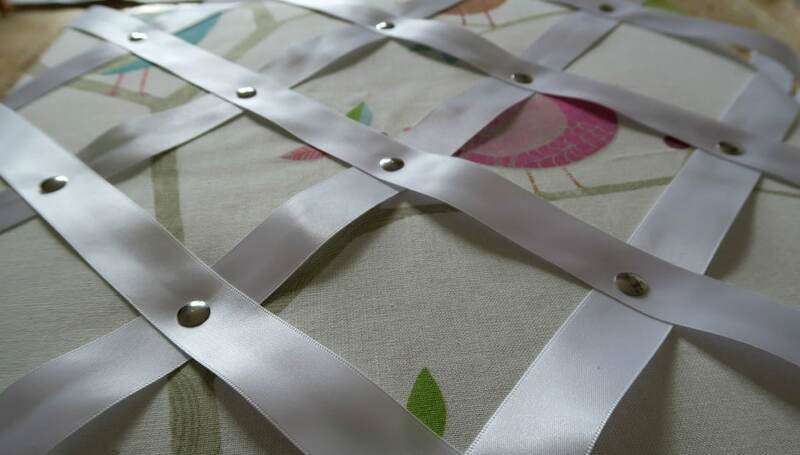 Turn the board over and cut ribbon into lengths, crossing them over. You can see how they lay and look. Place a pin into every cross that you see on the front of the board. Carefully turn the board over and staple the ribbon to the underside of the board. Don’t pull too tightly but not floppy either. 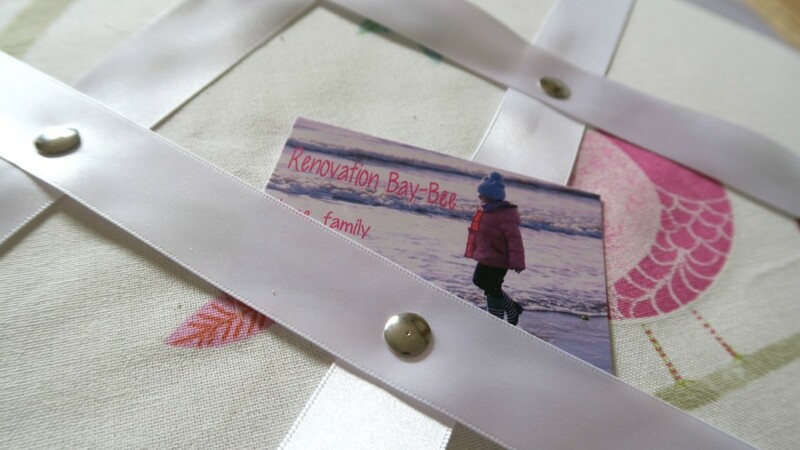 Trim off the edges of the ribbon and neaten up the back. 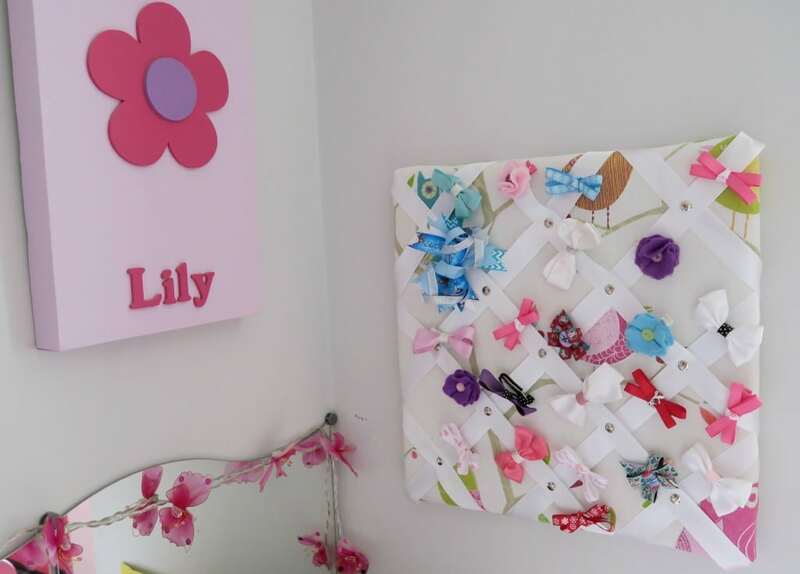 Once you have finished you can mount it on the wall and fill with lots of hair bands! 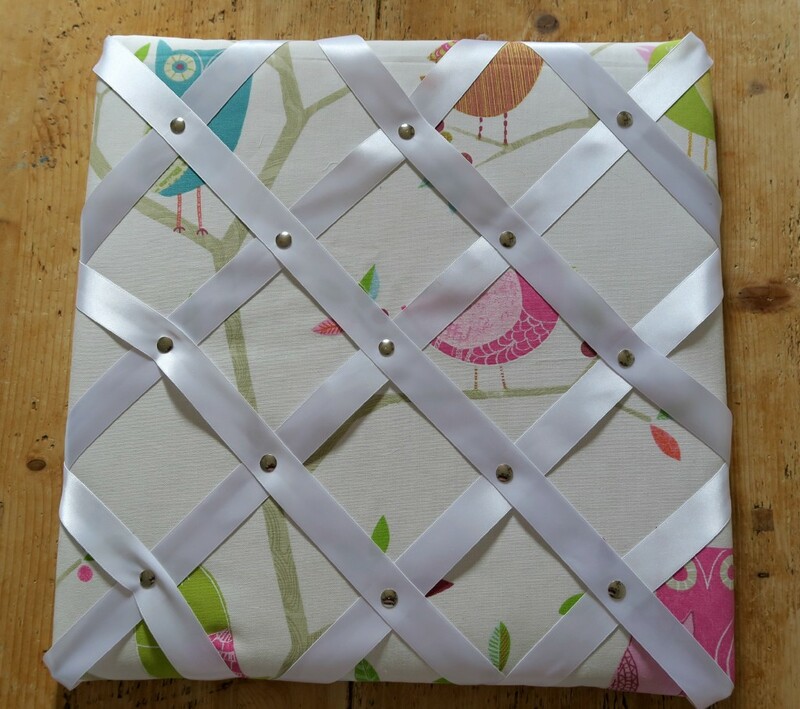 You could also use it as a pretty pinboard for notes, business cards or pictures. *I was sent this kit to make the pinboard, however all opinions are honest and of my own.